As you may know, I have obtained my Microsoft Certified Solutions Expert (MCSE) specifically in the solution area of Private Cloud. When you obtain a Microsoft Certification, there are some certifications that have an expiry date, meaning that to maintain a certification you need to re-certify. This is the case that I am in with my MCSE Private Cloud. I received an email from Microsoft indicating that the Recertification exam is now available. Since I plan to take this recertification exam, I thought it would be helpful to go through each of the Skills Measured, and include some examples. Not only will this help me review the material I already know, and brush up on the areas that I need more experience with. I figured that I would break this into a series, covering each of the higher-level categories/areas and their sub topics. So, to start let’s cover the third category: Configure and Maintain Service Management. 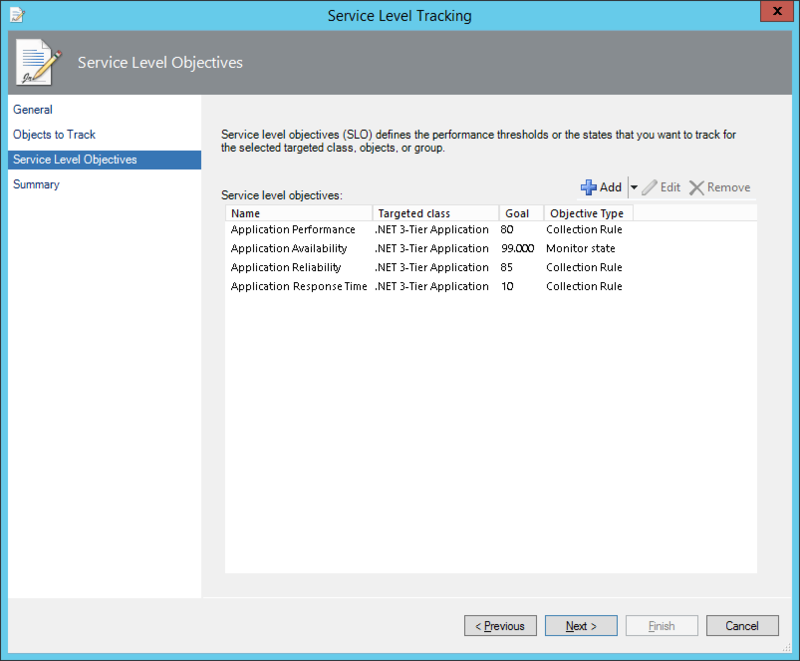 Service Level Objectives are mainly an Operations Manager (SCOM) element. You can monitor things like: Performance, Availability, Reliability, and Response Time. For Service Level Agreements (SLAs), that is mainly a Service Manager (SCSM) element. Think about it in the context of “how fast an Incident is resolved”, or something along those lines. Similarly tied to Service Manager (SCSM), you can leverage Workflows to manage SLAs and send escalations. 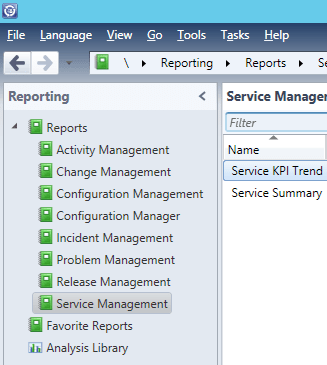 Alternatively, you can leverage Orchestrator (SCORCH) to monitor Service Manager items (i.e. Work Items) to react to them (i.e. escalations). To maintain SLAs, you can create Worflows, Runbooks, and Notifications to ensure people are alerted to potential SLA breaches, and therefore are able to take necessary action. 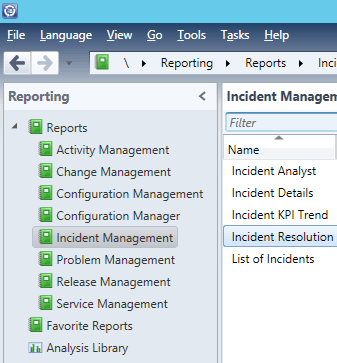 There are several reports in Service Manager (SCSM) that help to analyze SLAs, including Incident KPIs, Resolution metrics, etc. When you create a new Incident, or open an existing one, in the Tasks pane on the right, there is an option to ‘Link Problem’. 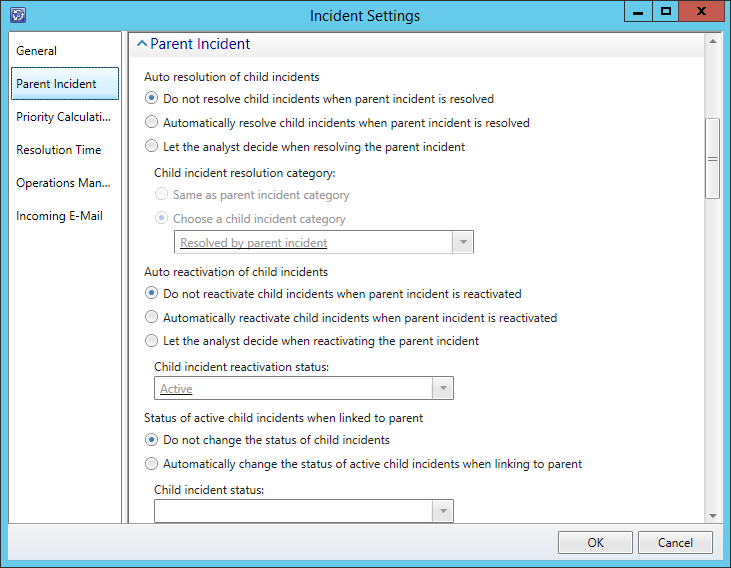 For linking Incidents to Problems, there is a setting that you can enable (under Administration > Settings > Incident Settings), where you can configure if Child Incidents are auto-resolved. Similarly, when you look at the Problem Form, on the Resolution tab, there is a checkbox to “Auto-resolve all incidents associated with this problem”. 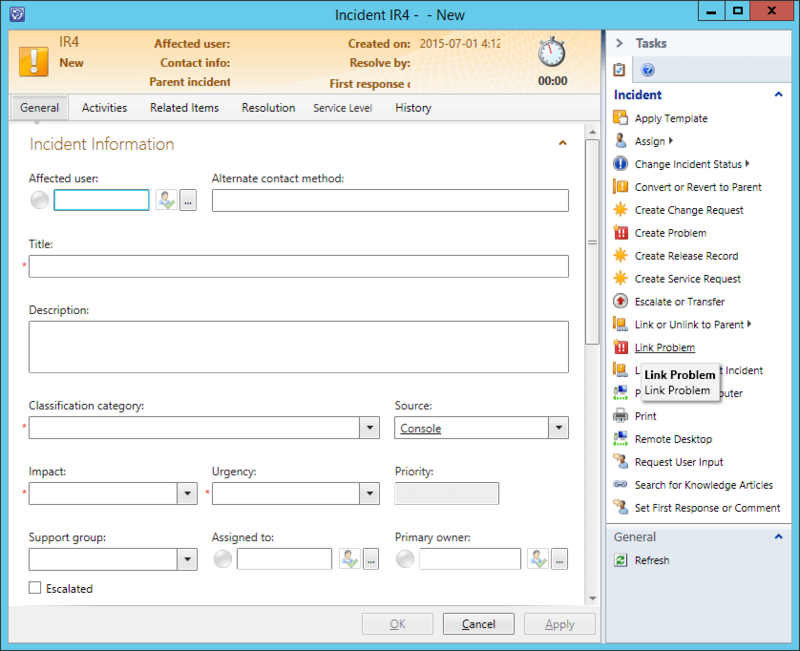 Incidents in Service Manager (SCSM) can be generated (or “raised”) through multiple methods, not limited to: SCOM Alerts, Orchestrator Runbooks, Self-Service Portal, etc. To accomplish either of these, you would need the SCSM-to-SCOM Connector, or Orchestrator Integration Packs to monitor files, folders, Alerts, Incidents, etc. or a Server Request and Service Offering for portal submissions. 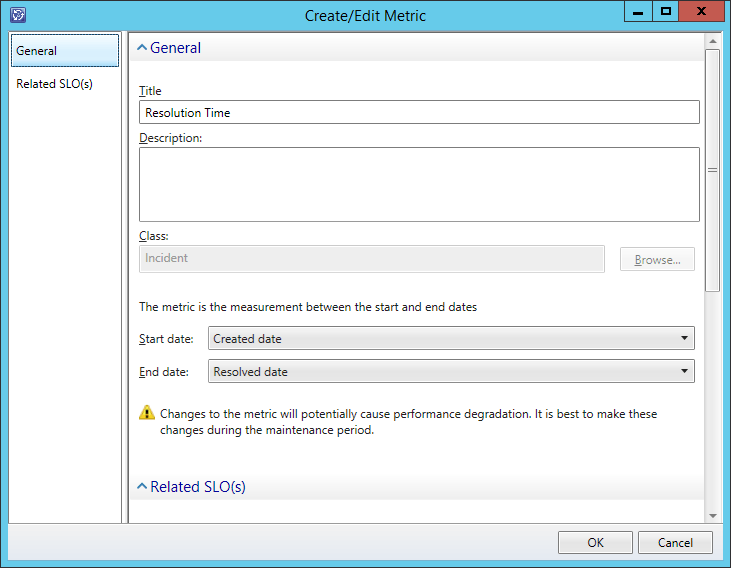 In Service Manager (SCSM), you can leverage the Analysis Library. This will allow you to use OLAP data cubes and create very detailed reports and dashboards. Here are some useful links on this feature. In Service Manager (SCSM) when you create a Change Request work item, there is a tab for Related Items. 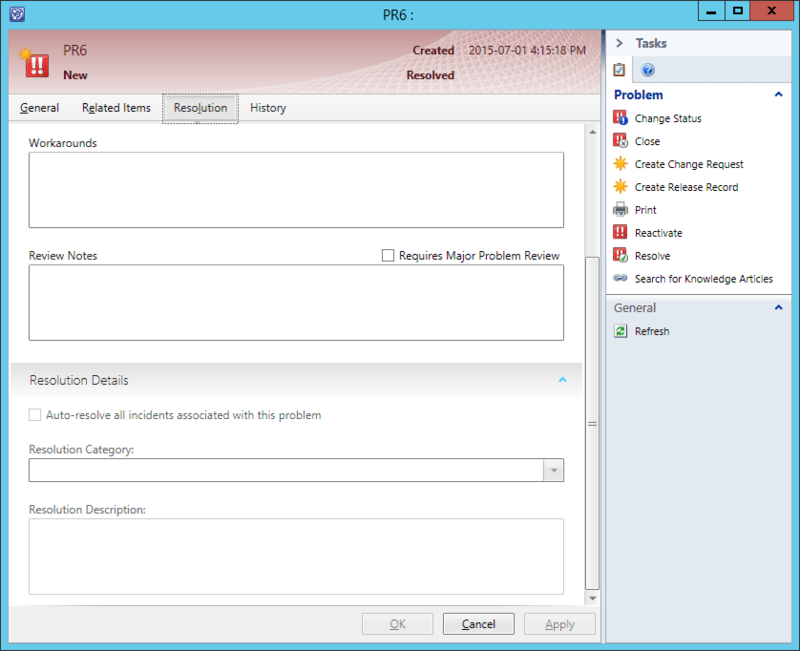 Within here, you can link various other work items, like Incidents and Problem, to the Problem item. 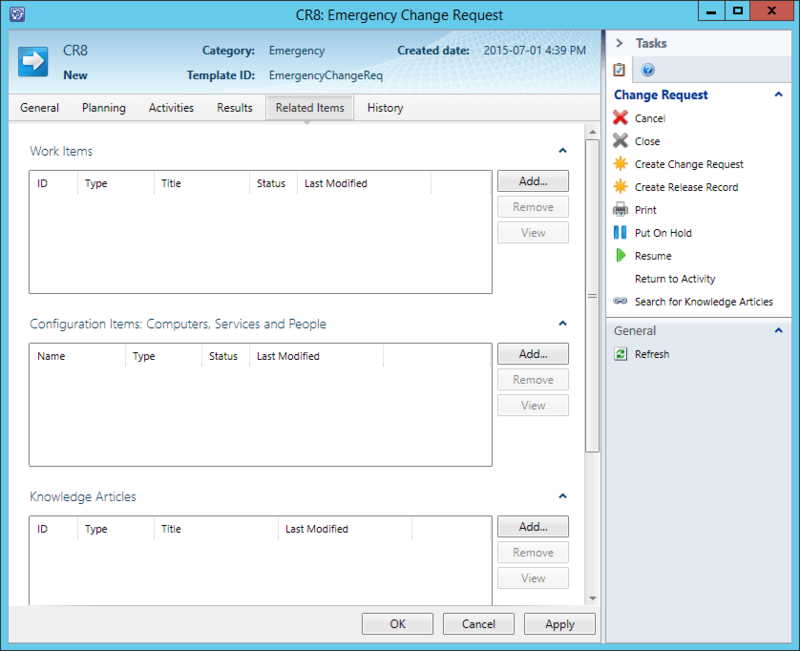 Also,on the Incident/Problem form in the Tasks list on the right, there is a direct link to ‘Create Change Request’. Provided that the Incident or Problem has been saved, this action will automatically link it to a new Change Request. 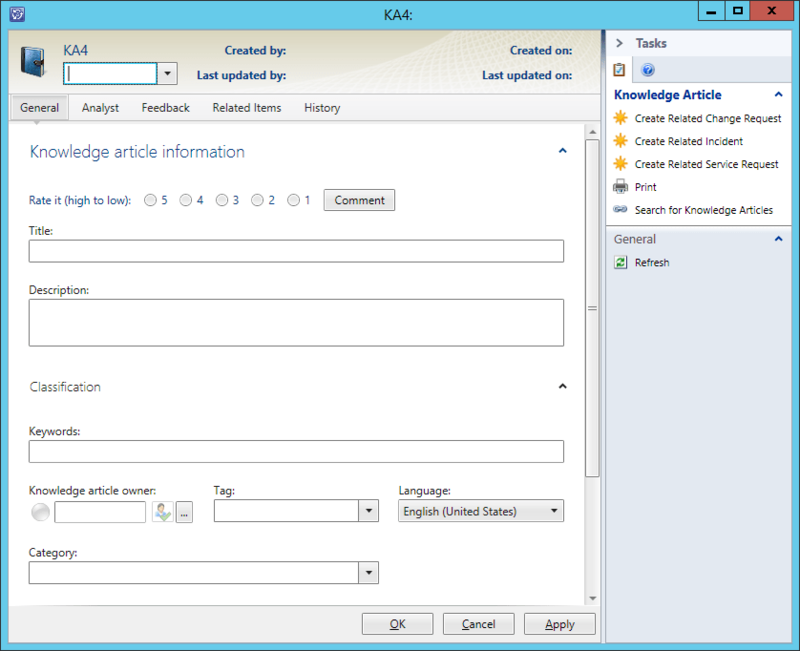 The knowledge base feature is a part of Service Manager (SCSM), under Library > Knowledge. Here you can have ratings, keywords/tags, and categories. To be able to deploy between the Private and the Public cloud, you can leverage App Controller, which of course uses VMM. 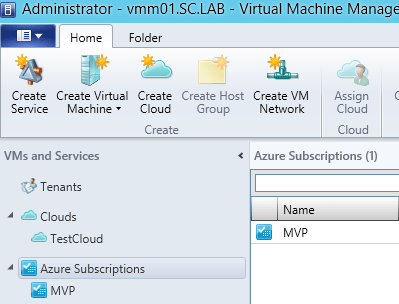 If you are not using App Controller, you can use VMM itself, by connecting it to your Azure subscription. It does require that you have UR6 installed. Note: I’m not sure if this item is actually supposed to be divided in to smaller portions. I divide the sections based on where the semicolon (;) appears in the listing. The majority of these items are accomplished through Virtual Machine Manager (VMM). There is a lot of information that these includes relates to. Here are some links to additional information. Well, that’s it for this section. Next we will review the items covered in the next Skills Measured – Part 4: Configure the Fabric.